Note: This article applies to users with a personal or family subscription to Jottacloud. If you are a business use, please read this document. Microsoft Office Online integration is available for all Jottacloud users. Personal users have access to Microsoft Office Online without the need for any Microsoft subscription, while Business users require a Microsoft subscription to Edit files online, viewing is available without a subscription. To open office documents, simply select the document in Jottacloud and click Open in Word/Excel/PowerPoint Online. This opens the document with Office Online in Edit mode. From here you can edit the document as needed. Changes you make are automatically saved. When you are finished with editing your document, you must exit Office Online and return to Jottacloud. To exit Office Online and return to Jottacloud, click on the File menu and select Exit from the menu. This will bring you back to the document folder in Jottacloud. 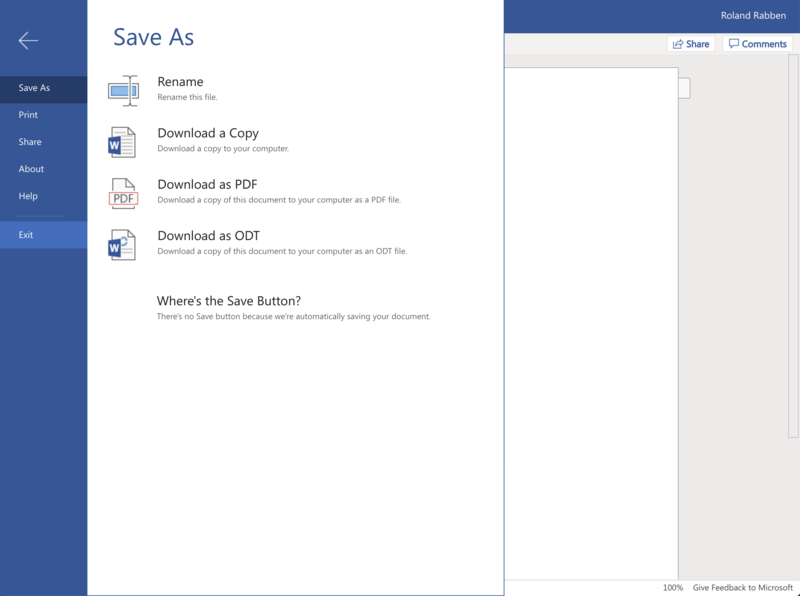 You can also click the "Save and return to Jottacloud" link in at the top of Office Online. All changes you make in office online are saved automatically as you type. But a new version of the document in Jottacloud is only created when you EXIT Office Online and return to Jottacloud.